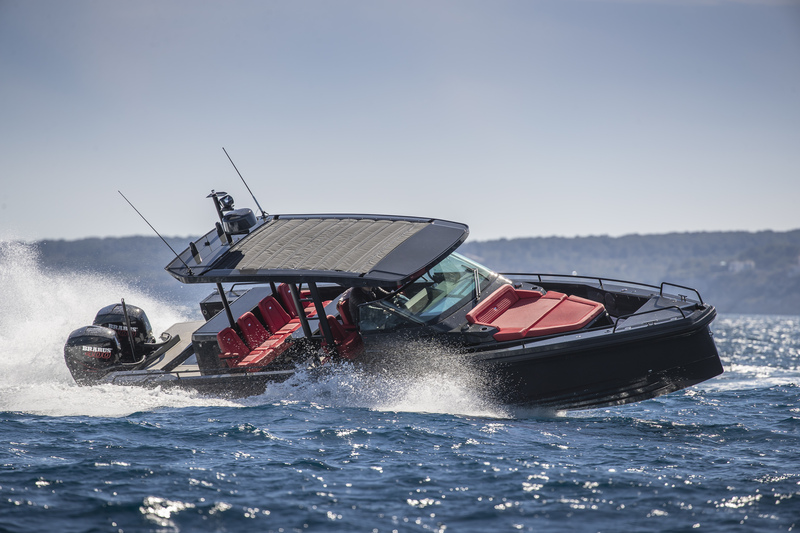 The launch of the BRABUS Shadow 800 by Axopar is the result of an exclusive alliance between award-winning Finnish boat builder, Axopar Boats and German Tuning Company BRABUS, to design and manufacture one of the world’s most desirable boats. At the heart of every BRABUS are twin, ultra-high-performance Mercury Verado® 400R supercharged racing engines supplied exclusively with Mercury’s 360° Joystick Piloting. The steering wheel has an intelligent steering module with push-button controls. 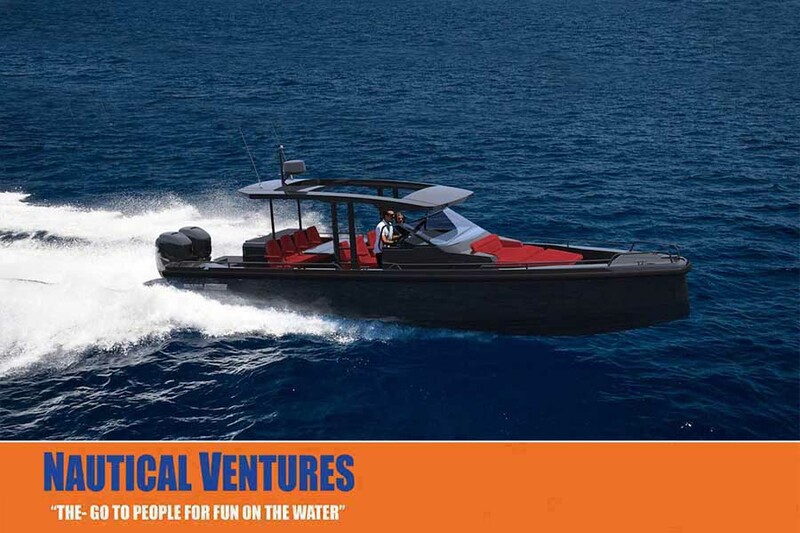 The dashboard console is extremely ergonomic and based mainly upon two standard 12-inch chart plotters and Mercury’s latest VesselView 903 that pairs your mobile phone via Bluetooth to your engine for accessing valuable boat data. Other standard features include Mercury Marine’s Theft Deterrent System (TDS) and a Fusion audio system to be integrated within this highly capable boat. All BRABUS Shadow owners will receive a next generation Garmin Quatix 5 multisport marine wristwatch, as part of the package.Functionality extends to autopilot control, navigation, entertainment, personal fitness data-logging and more. Built according to BRABUS’ exclusive engineering principles, each boat is part of an production run of only 20 hand-made models, referred to as the ‘One of Twenty.’ The first BRABUS to hit North American waters will make its debut at the Fort Lauderdale International Boat Show at the Convention Center, in the Nautical Ventures Booth #2021.